Java Black quartz worktops from Unistone, imported into the UK by Brachot Hermant in Birmingham, bucks the trend towards white marble-look and industrial-look quartz worktops. 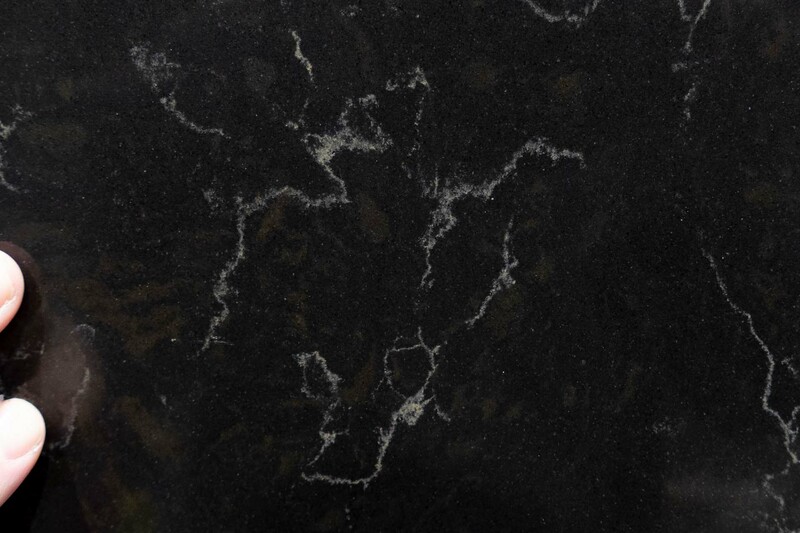 Along with a handful of other dark marbled and patterned engineered stones, Java Black quartz sells steadily and well. Just to note – Java Black was sold as Java Noir and some websites and sources may still use that name. 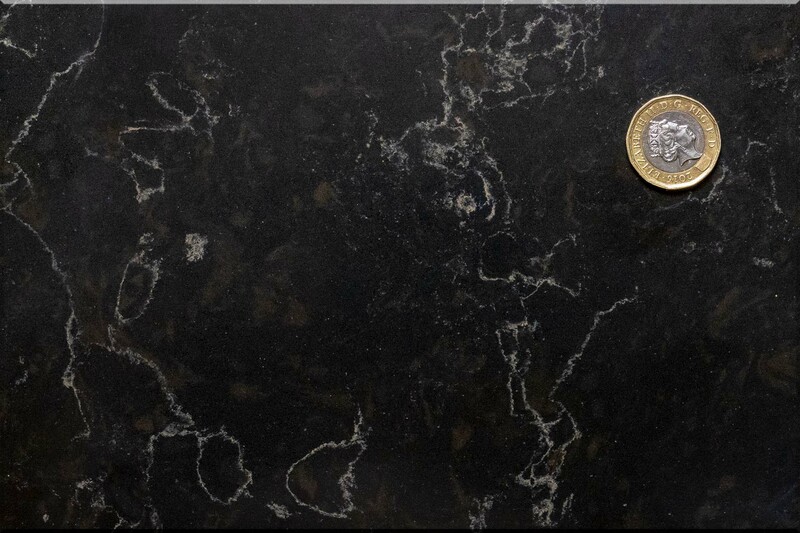 Unistone Java Black with some of its main rivals in the “dark marbled quartz worktops” market. Java Black holds up well in looks and quality, and is very competitive on price. Call or email for a quotation! Mr and Mrs B of Reigate chose Unistone Java Black Quartz Worktops for their kitchen renovation. 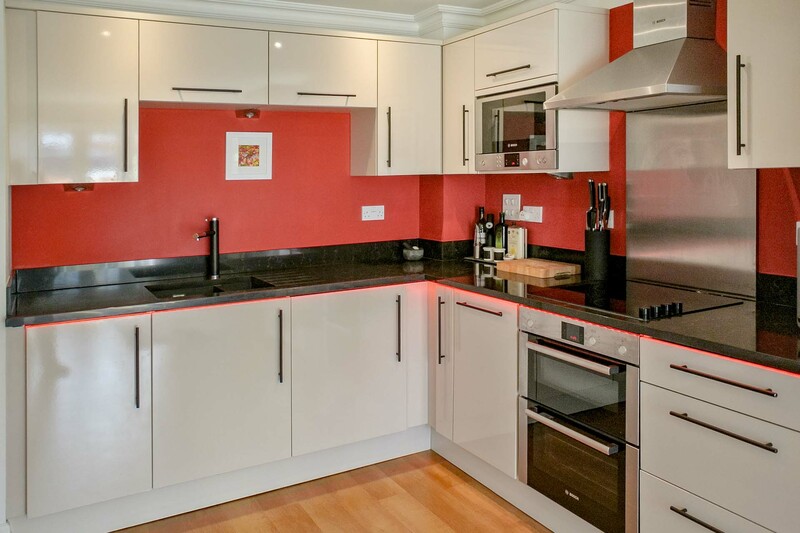 They kept their units but swapped worktops, changed wall colour and installed a lighting strip below the worktop. 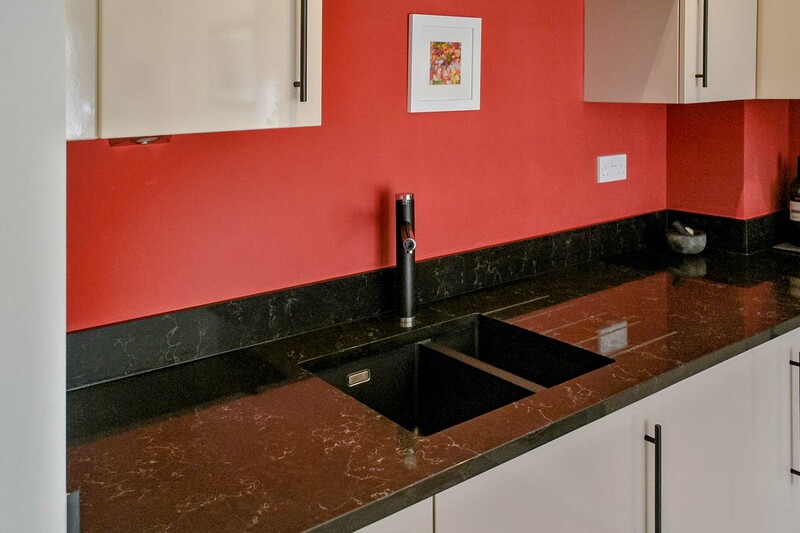 They wanted strong colours and a darker, natural-look worktop – hence the choice of the Java Black. 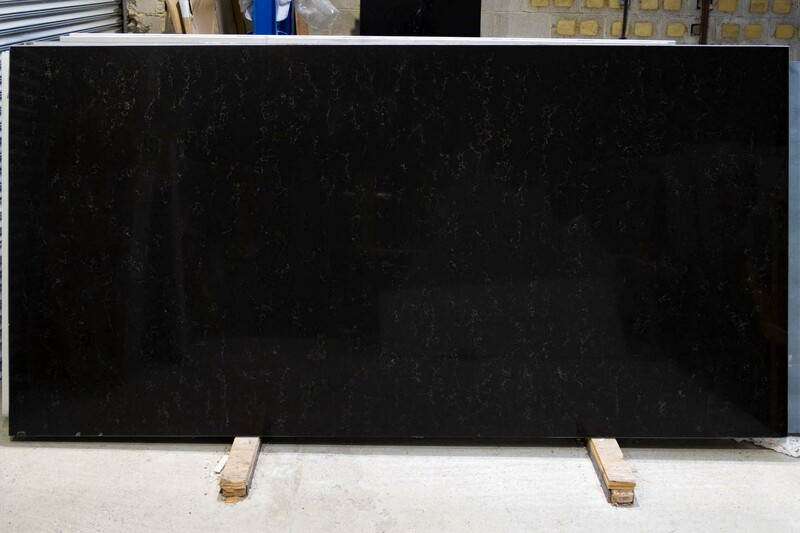 One of Mr and Mrs B’s Java Black slabs in the inspection area on arrival at our Surrey warehouse. Our customer was kind enough to send their own pictures of the kitchen. What follows is a mini case-study based on their images. The kitchen is a slab door design, with sleek metal handles. Not quite a contemporary high gloss, the units are solid and of good quality – which is why our customer wanted to upgrade rather than replace. The worktops are 30mm thick. 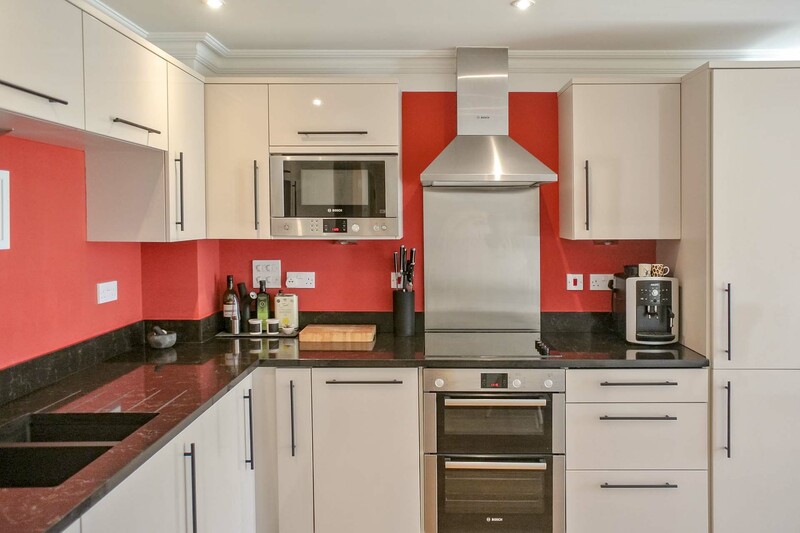 The initial plan was to install the quartz at 20mm thickness, but the depth of the hob over the oven stopped this – the thinner material would not have allowed sufficient airway between the appliances. See our article on thinner worktops and their challenges here. The most striking feature on entering the room is the rich paintwork. 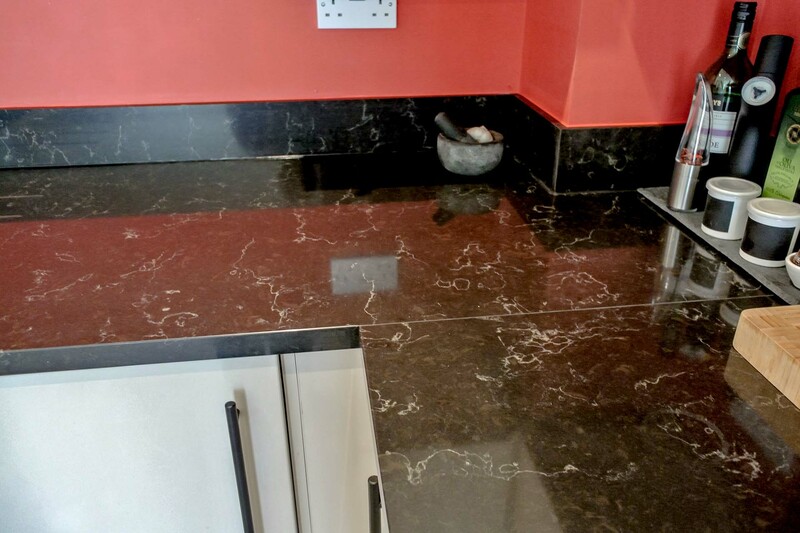 That big colour really needs strong complements – hence the Java Black quartz worktops! The customer also specified a lighting strip beneath the worktop, choosing a colour to match the vivid paintwork on the wall above. Corner area showing join. In a darker quartz with a vein like the Java Black we tend to follow the vein colour in the jointing compound we use. 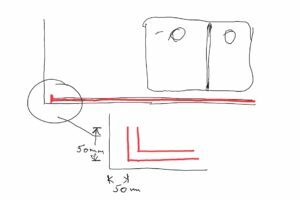 Also note the upstand following the line of the wall at the back. 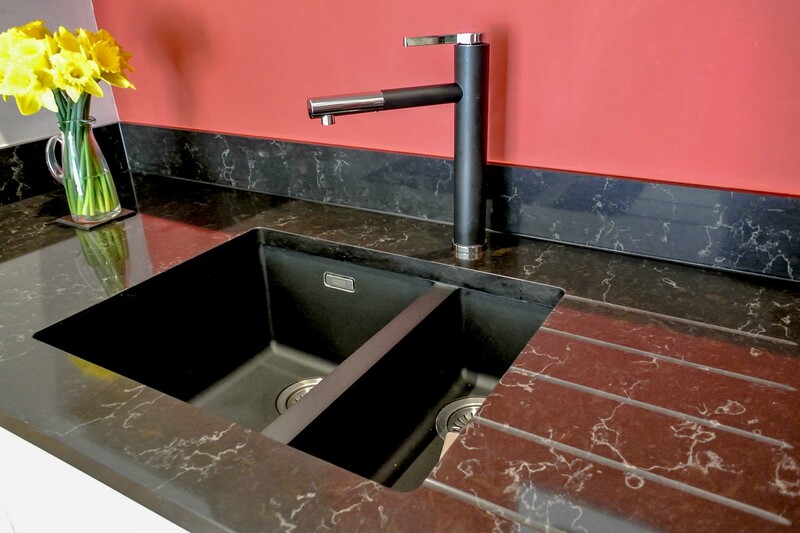 The sink was bought through Affordable Granite – a Franke Sirius SID 160 Tectonite sink in Carbon Black. It is a one-and-a-half bowl undermount sink with the Big Bowl Left (BBL) configuration. The sink design is very square, and the parallel drainer grooves complement that. The tap is a Clearwater Galatea Top Lever Monobloc Swivel Kitchen Mixer with Pull-Out Spout in Chrome & Black, also bought through Affordable Granite. Elegant and very much in keeping with the black sink bowls and overall kitchen look. We are Affordable Granite, the leading granite and quartz worktops installer in Surrey, Sussex and across the South East. Reigate and Redhill are right on our doorstep and we are installing in one or other of the two Surrey Hills towns most weeks. 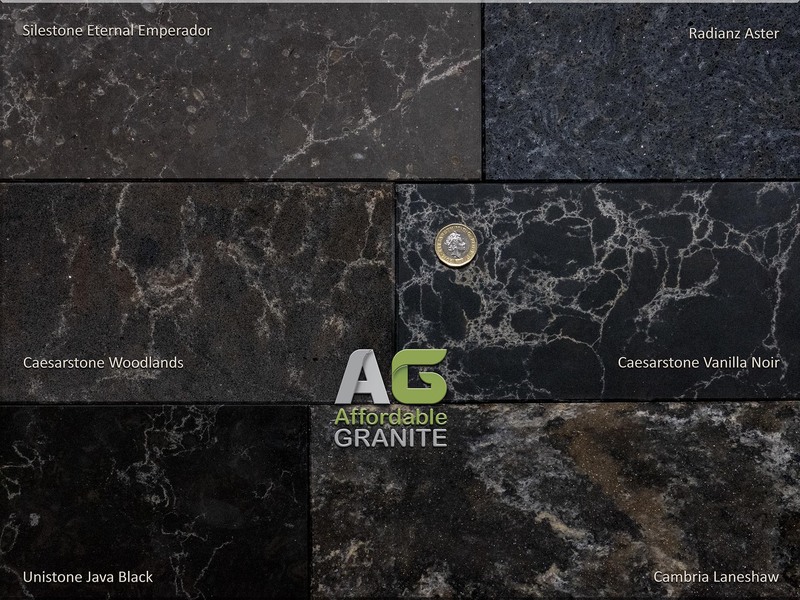 For questions, queries and quotes connected with any aspect of worktop installation or kitchen design, please don’t hesitate to contact us on 01293 863992 or by email on sales@affordablegranite.co.uk/ .